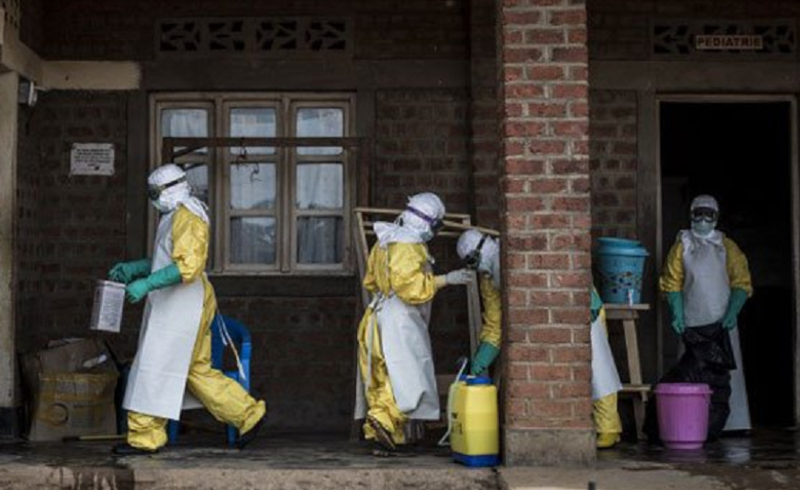 The World Health Organization admitted the new Congo Ebola spread had reached the so-called ‘red zone’ of rebel activity where they were unable to monitor it as the death toll jumped to 63 (it was in the low 40s beginning of the week, see our related coverage). Related coverage: <a href=" https://thegoldwater.com/news/34460-New-Congo-Ebola-Spreads-Like-Lightning-49-Dead-2157-Possibly-Infected-Video#34469"> New Congo Ebola Spreads Like Lightning - 49 Dead, 2157 Possibly Infected (Video)</a>. There are now more than 100 further confirmed cases and over 2,000 probable contacts as the disease spreads like a whirlwind in an uncontrollable area. While the WHO also had some good news (there have been 2,900 people in the area vaccinated already and they are bringing in more experimental treatments), the emergency response chief in Geneva, director Mr Peter Salama, admitted that his organisation is now faced with "extremely serious security concerns" round the eastern town of Oicha, as the disease is encircled by a feared Ugandan Islamist militia, the Allied Democratic Forces. Mr Salama spoke of a "dreaded" scenario. "So, for the first time really, we have a confirmed case and contacts in an area of very high insecurity." Related coverage: <a href="https://thegoldwater.com/news/34166-WHO-New-Congo-Ebola-Virus-Spreading-Rapidly-44-Dead-1-500-Infected-Video#34200"> WHO: New Congo Ebola Virus Spreading Rapidly, 44 Dead, 1,500 Infected (Video)</a>. "It really was the problem we were anticipating and the problem at same time that we were dreading," said Dr Salama, WHO's emergency response chief in Geneva. Dr Salama claimed that "we are at quite a pivotal moment in this outbreak," whilst admitting that the outbreak, which could cross into Uganda soon, is starting to cause panic in the region, just as happened between 2013 and 2016 when Ebola in West Africa killed 11,300 people. Wake me when its 63 million. Go Ebola! Perfect Karma? Divine intervention? Good ole Mother Nature expressing her feels on overpopulation and showing us some of her options to deal with it.